I named it as “” Classic Focus Visual “” and i have applied for Creative common Rights. I would like to share this wonder full style with all folks. Look at the below sample snap shot of that style in which you can see a small square L shape will appear at four corners. 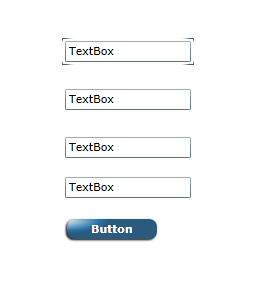 This entry was posted in Silverlight, Styles and tagged Focus States, Textbox Focus. Bookmark the permalink. Can you please share the code?